It's about time I tackled Glengyle distillery and what they've been doing via the Kilkerran range as they work their way up through the years to reach the summit. The distillery is a welcome survivor of the Campbeltown region, which could be viewed as a graveyard of Scottish distilleries. It has experienced a chequered history and bouts of closure but at the start of a new millennium rennovations commenced. What remained was a shell and one with listed building status. Distillation commenced in 2004 and we're now reaching the point when Glengyle is ready to embrace a new future. Glengyle might be an unknown name to some however you have to seperate it from the wave of new Scottish distilleries appearing across the country. Originally built during a previous whisky boom during the 1870's, the distillery appears in Alfred Barnard's definitive work as he made a pilgrimage across Scotland in 1886. I find it exciting to see it placed alongside departed names such as Burnside, Lochruan, Rieclachan and Kinloch. Yet here it is about to be rediscovered all over again. The equipment within its walls may have been removed in the 1920's but Alfred provided the fine detail along with being impressed by the view and cultured gardens. 2016 will see the debut of the 12 year old whisky which is the benchmark the team being Glengyle have been aiming towards. Over the years various releases have tracked this progression and development dubbed as work in progress. 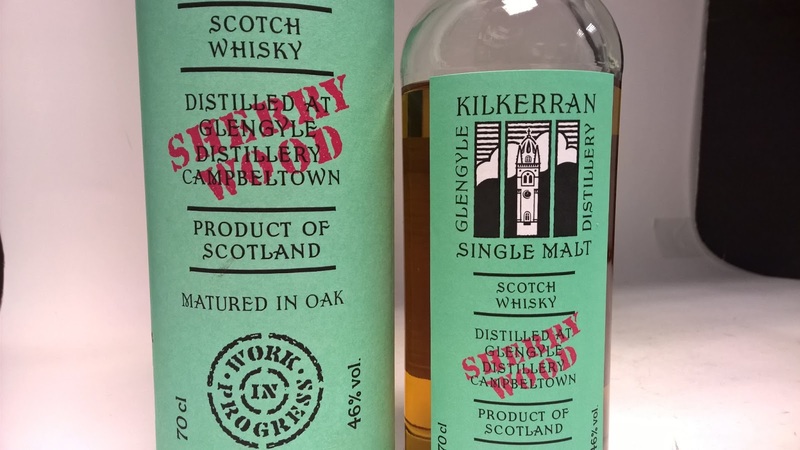 We're almost there and next time you see a bottle labelled Kilkerran remember its an old new distillery. Sadly the name Glengyle has been used for a blend elsewhere and the naming rights were not possible to acquire. Nose: a refreshingly light, zingy character with soft drink Tizer appearing alongside tarragon. Cereals, Terry's chocolate orange and red grapes. Taste: very gentle on the palate with cranberries, actually lots more red berries, a light sherry influence however it posseses that dirty characteristic that sherry Glen Scotia's offer. Not as bold or rampant or divisive. This is the last work in progress release and next year we'll see what Kilkerran has in store for us. A perfectly enjoyable malt, I'd prefer a higher strength and more oomph to distinguish it from the market however lets give it a little more time.